This Greer Ranch 3 bedroom Single Level Home in Surprise has beautiful Granite Counters in Kitchen, upgraded Stainless Steel Appliances. The Kitchen opens to theLiving Room with Vaulted Ceilings. Roomy Master bedroom has a Bay Window and a Walk In Closet. Garage is Insulated with extra Electrical outlets and TV hookup. Refrigerator, Washer and Dryer included! Fresh Interior and Exterior Paint! 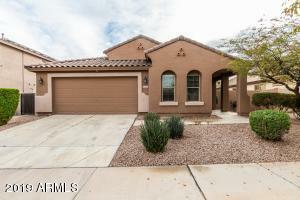 Close walk to School, close to Loop 303 for easy access to all areas of Valley. Near Bell Rd area Golf, Restaurants, Shopping and Amenities. Close to Surprise Sports Complex for Spring Training Baseball! Greer Ranch is a beautiful Family neighborhood with Parks, Grassy areas and Walking Trails. Minutes to Cardinals Stadium, Lake Pleasant, downtown Phoenix and Sky Harbor Airport.